January 9, 2013 at 7:19 am EDT | by Lou Chibbaro Jr.
Jeanne Manford, the founder of Parents, Families and Friends of Lesbians and Gays (PFLAG), died Thursday at her home in Daly City, Calif. She was 92. 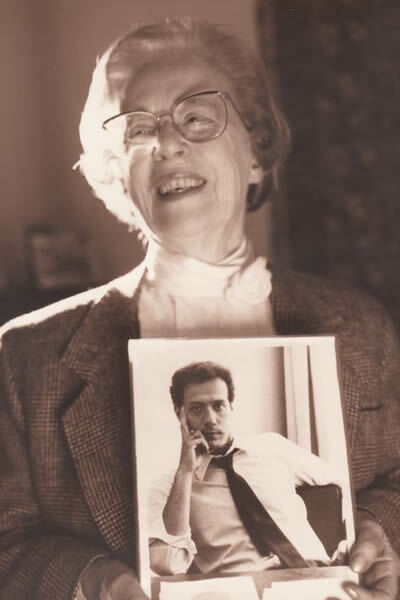 A native of New York City, Manford became an overnight leader of the fledgling “straight ally” movement in 1972 when she spoke out publicly in support of her gay activist son, who was attacked and beaten at a gay rights demonstration. “I have a homosexual son and I love him,” she stated in a letter published in the New York Post on April 29, 1972. “This simple and powerful message of love and acceptance from one person resonated so strongly it was heard by millions of people worldwide and led to the founding of PFLAG, an organization with more than 350 chapters across the U.S. and 200,000 members and supporters, and the creation of similar organizations across the globe,” said Jody M. Huckaby, PFLAG’s current executive director. In a statement released from the group’s Washington, D.C. headquarters, Huckaby called Manford a pioneer and “mother” of the LGBT community’s straight ally movement. Manford, an elementary school teacher and the wife of a dentist, organized what is believed to be the first meeting ever of a group of parents of gay people shortly after the 1972 gay pride parade, which was then called the Christopher Street Liberation Day Parade. “After many gay and lesbian people ran up to Jeanne during the parade and begged her to talk to their parents, she decided to begin a support group,” according to an article on PFLAG’s history posted on the group’s website. “The first formal meeting took place in 1973 at a local church,” the article says. “About 20 people attended. In the next years, through word of mouth and community need, similar groups sprang up around the country, offering ‘safe havens’ and mutual support for parents with gay and lesbian children,” the article says. The article says PFLAG added transgender people to its mission in 1998. In its statement, PFLAG says a private interment service would be held and details of a celebration of Manford’s life would be announced later. “The family requests that any donations be made to the Jeanne Manford Legacy Fund to support the ongoing work of PFLAG National: 1828 L Street, N.W., Suite 660, Washington, D.C. 20036,” the statement says.